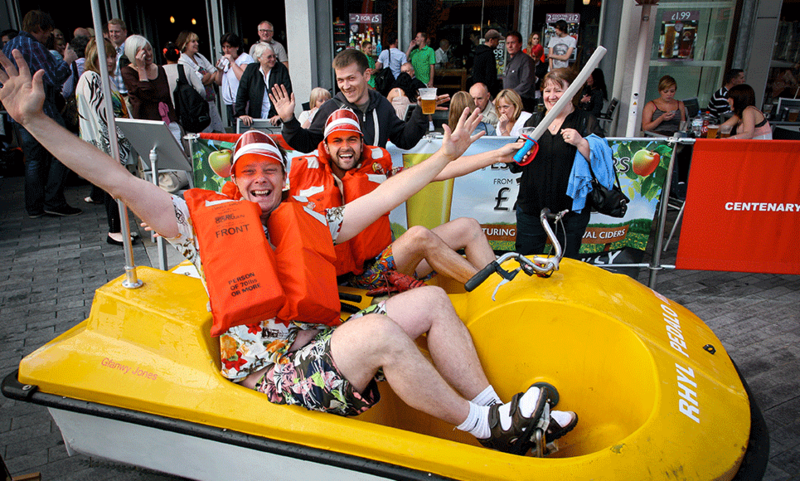 In terms of corporate event ideas, you can get stuck in the mud. Enter Turbo & Dai. Turbo Jonez and Dai Llewellyn met whilst serving 20 hours community service each for crimes they did not commit. 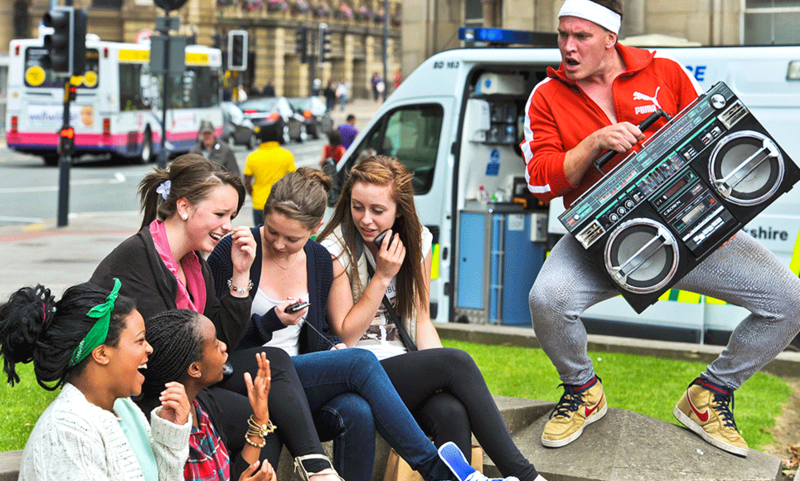 A classic case of triumph over adversity, they formed a breakdance crew. Tired of witnessing gang violence, day in, day out on TV from America, they decided to go out instead and dance. They travel around the country on a tireless journey searching for crews to ‘battle’. It’s two friends, one well bad ghetto blaster, some lino off Turbo’s ma’s kitchen and a soundtrack which has grown men jerking and twitching within a hundred yards earshot. So throw up your gang signs for Sugar Hill, Melle Mel, NNNineteen and one for the ladies, soft and sensual Sade’s ‘Your Love is King’. Unique, extremely funny, physical comedy with retro costume and props, it always gets a huge following at every event whether it’s corporate or regular outdoor festival. It’s top of the list when it comes to corporate event ideas. In terms of corporate event ideas, we have performed in venues from London office blocks to trendy nightclubs. We've performed with The Fun Loving Criminals and other cool dudes. 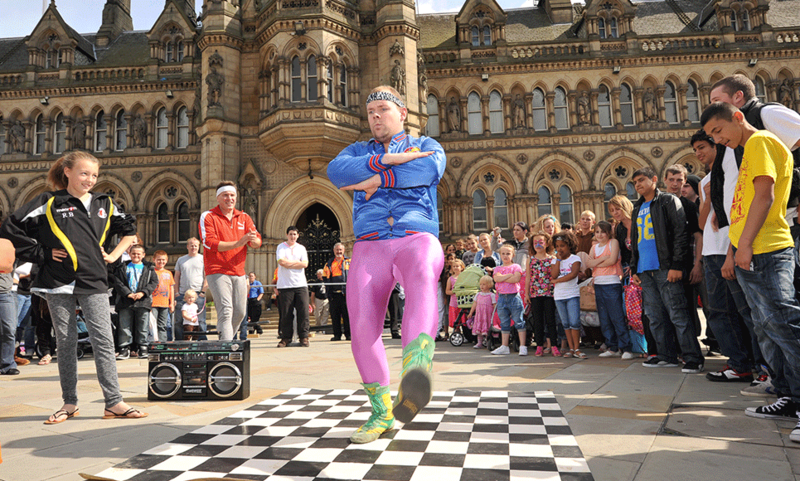 Turbo & Dai can perform in streets, town centres, parks, stately homes, fields, sports venues, indoors, corporate venues and anywhere you can get a breakdancing welsh man and his strange mate! This show has a big impact. It’s best suited to indoor or outdoor events where we can engage with audiences and get them dancing. It's not all about corporate parties and Dubai shopping centres. This is the centrepiece walkabout act from Reckless Invention and it holds large audiences wherever it goes. We have performed worldwide at International festivals, music festivals, town centre events, weddings, corporate parties, product launches, silent discos and everything in between. Turbo & Dai are best walking around being seen from a distance, interacting with audiences as they go. They add a real spectacle and visual element to an event. 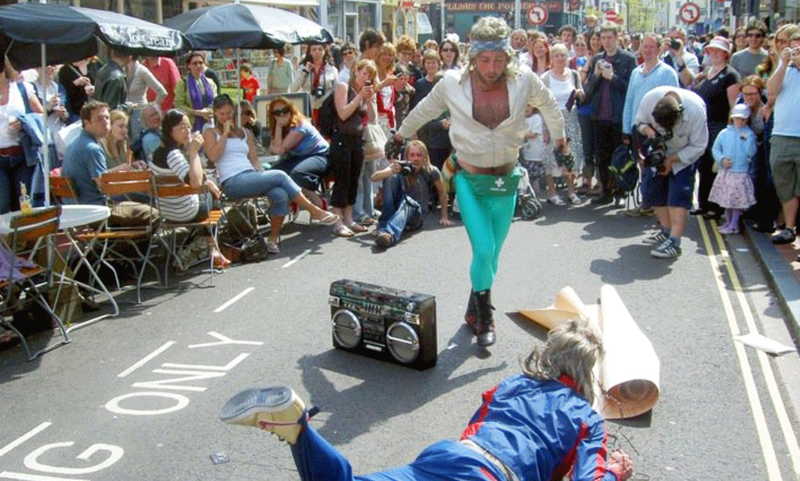 They are great at actually breakdancing and getting people involved.